Ersatz Audio continues its quest to bring the unusual and the unique here with BolzBolz. This 3 song ep layers electro beats, reticent bass, and the constant estranged use of the human voice to create an innovative sound that intelligently blurs the past, the present, and the future. 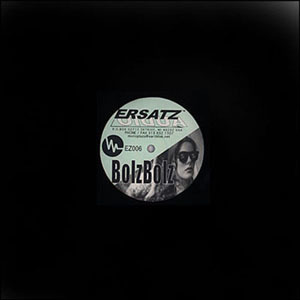 EZ-006 showcases the solo work of BolzBolz, also one half of Third Electric (Electrecord, Köln). This 12" is out of print.